Go deep into the heart of Kashmir’s gorgeous landscape, to discover shimmering lakes, rolling green meadows, high altitude passes, and sparkling rivers, on the Kashmir Great Lakes trek. Set in the heaven-like arena of the high mountains, endless pastures, and of course, the great lakes, this Great Lakes of Kashmir trek will lead you through its blue-green lakes, climbs over high altitude passes and offer you one of the most memorable experiences. Kashmir itself is a legendary destination, its natural beauty immortalized in poetry, photography, and art. And for every traveller who visits, it’s love at first sight. From the bright wildflowers to the wide blue skies, from the jewel-like lakes to the endless horizons of hills and mountains, Kashmir is a true paradise on earth. You’ll get to see 5 of the most famous lakes of Kashmir – Vishansar, Kishnasar, Gadsar, the cascading lakes of Satsar and the twin lakes of Gangabal. During the day, you’ll walk through forests of maple, or hike through quiet meadows full of blossoming flowers. You’ll camp on the banks of pristine lakes under a blanket of stars. You’ll see fat trout swimming in clear lakes and rivers, and watch as the blue skies darken to dusk. You’ll see what life is like in the mountains, and will have a chance to meet the Kashmiri people, and experience their food, culture, and hospitality. 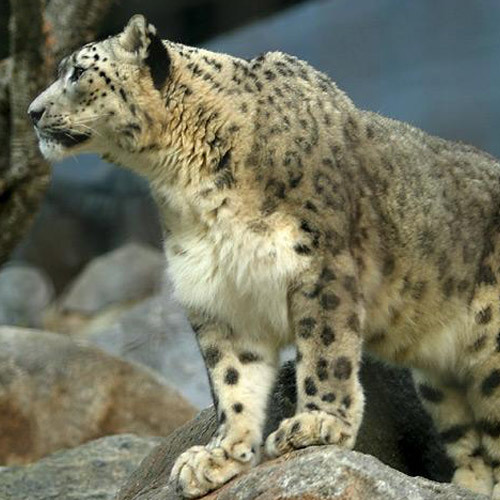 Some itineraries include a stay on a houseboat, trout fishing, or a day in Gulmarg. There are many adventures to try in Kashmir, so if you’re planning your trip, do take a look at our blog post on Top Things to Do in Kashmir. If you’re visiting between June and August, you should also check out rafting in the Zanskar, where some of the best and most dramatic white water rafting stretches are available. Most Kashmir Great Lakes treks begin in Srinagar, from where the operator will transport you to Sonmarg. You’ll relax here and spend the day acclimatizing. The next day, your trek begins. You’ll head to Nichnai, then to Vishansar. After that, you’ll proceed to Gadsar, Satsar, Gangabal, and Naranag. At each destination, you’ll be camping in the wild, close to the lakes. On reaching Naranag, a vehicle is waiting to take you back to Srinagar. Your trip ends in Srinagar, and you’re free to fly home. The Kashmir Great Lakes trek is one of the best treks in Jammu Kashmir. Due to its popularity, there are many variations on the itinerary. 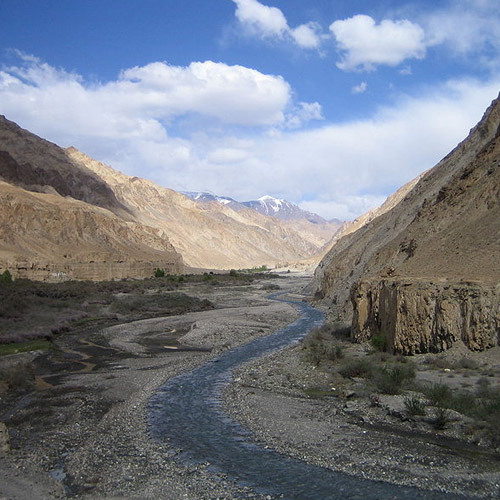 Some itineraries begin from Leh, and include the transport to and from Srinagar. Some packages include a night in a houseboat in Srinagar. This Great Lakes of Kashmir trek is a moderately challenging one, because there are some long days of trekking, about 6-7 hours each day, and you'll experience altitudes just over 13,000 feet. However, it can be done by fit first-timers if they are prepared to walk long distances. 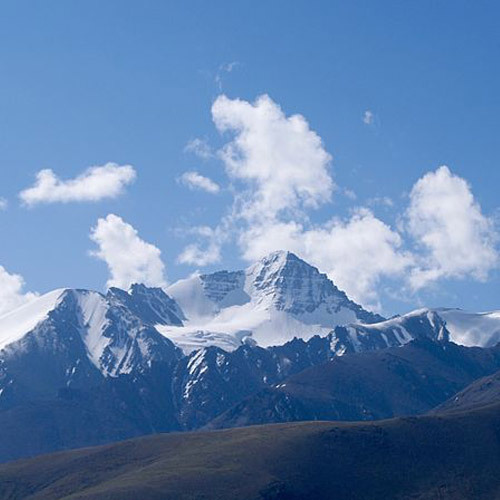 If you’re thinking about doing this trek, read our blog about How to Prepare for High Altitude Trekking. On some trekking days, you might need to show your documents and ID proof at army posts. Your operator will complete all these formalities, but there might be some delays, so be prepared to wait. The operator will send you a list of documents that you will require, so do make sure you carry everything as instructed. The Kashmir Great Lakes trek is one of the most beautiful treks in India, and should be on your list of must-do treks. With the astounding views of picturesque lakes, meadows of wildflowers under clear blue skies, and the snowy peaks around, you'll think you've discovered paradise on Earth. This trek to the Great Lakes of Kashmir takes you up to a maximum altitude of 13,750 feet, and can be done by fit first-timers too. With every great ascent, you are rewarded with scenic beauty, spectacular views of mountain lakes, and snow-capped mountains. NOTE: You should expect some delays when you arrive at army posts, as your documents will need to be checked. Do ensure you carry all the documents that the operator requests. 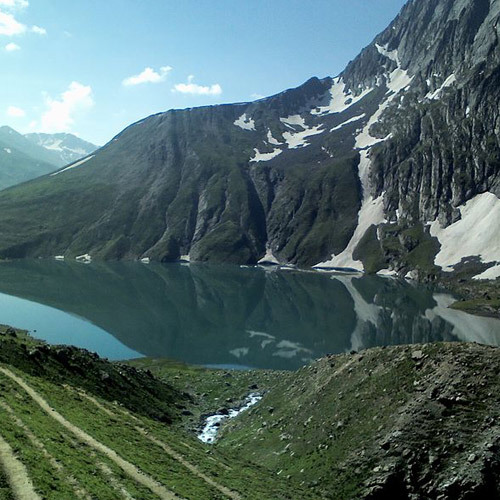 A trek that goes by the name of 'the great lakes of Kashmir', is bound to be as legendary as it sounds. Set in an almost heavenly arena of the high mountains, endless pastures, and of course, the great lakes, this trek is all you need in a mid-year adventure. The Great Lakes of Kashmir trek will lead you through its blue-green lakes, climbs over high altitude passes and offer you one of the best trail experiences to remember for a lifetime. This trip is designed for energetic and flexible people with a spirit of adventure. Previous experience in the outdoors helps, but is not necessary. Any other circumstances beyond our control. Can beginners do the Kashmir Great Lakes trek? While previous trekking experience helps, energetic and strong beginners will be able to manage the Kashmir Great Lakes trek if they are willing to walk for 5-7 hours each day. 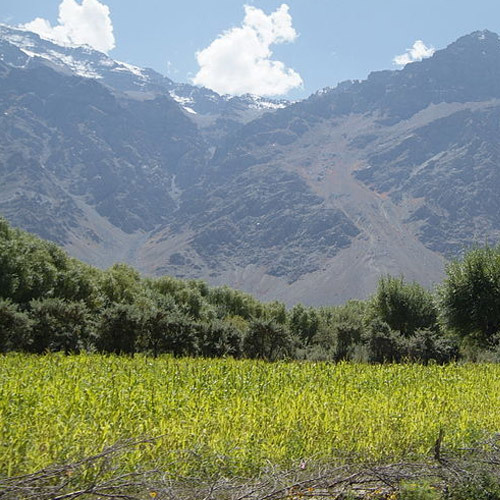 The trek is graded moderately challenging, and includes high altitude trekking at over 13,000 feet, as well as some scrambling over boulders. This trek is suitable for groups of friends, families with older kids, and couples. Nature lovers and those seeking a quiet escape will enjoy this trek. It’s also great opportunity for photographers to shoot vast landscapes of lakes, mountains, hills, and blue skies, with hardly any people in the frame. What is the packing list for the Great Lakes of Kashmir trek? Your operator will provide you with a complete list of gear and clothing to carry. You’ll also be required to carry some documents and proof of identity for the check-posts. It can get quite cold at night, so make sure you have enough layers to keep warm. What is the best season for the Great Lakes of Kashmir trek? The best time for the Great Lakes of Kashmir trek is from June to September, when the hills are lush green, the wildflowers are blooming, and the lakes are full. 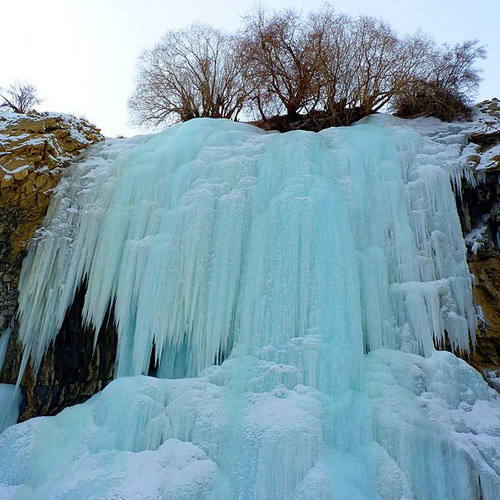 During this time, the daytime temperature is 17-20 degrees Celsius, dropping to 3-6 degrees at night.